LogiPoint CBG (Cross Border Gulf) has recently concluded a pilot project to help a client reduce their lead time and minimize uncertainties due to limited carrier choice for their shipments from Europe to the upper Gulf. The average transit time by sea from major European ports to Other GCC -is between 25 to 30 days with multiple transshipments. Given the high volumes involved, airfreight is not a cost effective option, and the journey is not long enough to warrant sea-air as an alternative. With the support from Jeddah Islamic Port and Saudi Customs Authority, and working closely with the client and their suppliers, LogiPoint CBG team were able to piece together a multimodal solution that helped make this landbridge an operational reality. The aim is to establish a bonded corridor between the Red Sea ports in the West and the Arabian Gulf in the East – it is slated as the project of the future, which would transform the East-West trade corridors both ways. The LogiPoint pilot has now proven it to be an effective and sustainable solution for the Middle East Companies. The transit time by sea from major European ports to Jeddah is 12-16 days. The trucking time from Jeddah to GCC – a mere 2-3 days. LogiPoint CBG has managed to reduce the lead-time by almost 10 days and at the same time increasing the carrier choice for the client since most carriers offer direct sailing from all major ports to Jeddah Islamic Port. The Westbound Cross-border Solution: Over the preceding months, LogiPoint CBG had already caused a stir in the UAE-KSA logistics trade when they provided an alternative to time-consuming and cumbersome border clearance at the ever-busier Sila-Batha border. Instead of suffering through long queues of laden trucks at the border and trying to resolve the inspection and customs clearance challenges while sitting a thousand miles away themselves, clients now have the option to process their customs clearance at LogiPoint Bonded and Re-Export Zone. On the all-important, Jebel Ali-Jeddah corridor, this translates to a valuable 24 hour reduction in the transit time with an added advantage of expedited and much more streamlined clearance process, which also minimizes cargo damage in handling and/or pilferage. LogiPoint operates the largest Bonded and Re-Export Zone in the Kingdom of Saudi Arabia, with a sprawling one million square meters area located within Jeddah Islamic Port. They have been pioneering innovative logistics solutions in the Kingdom for almost 20 years, and have played an important role in transforming the logistics experience in the Kingdom. Indeed, over the years, they have grown from being a service provider in the logistics industry to an enabler of the industry. Traditionally, clients have enjoyed such facilities as duty deferment, duty-free storage in open yards or LogiPoint warehouses, and convenient re-export from the Bonded Zone. Clients can import their goods into the Kingdom saving on major handling and freight charges, with LogiPoint providing value added services including re-labeling, bundling, and re-packaging prior to custom inspection process thereby offering a streamlined and hassle-free cargo inspection and customs clearance. LogiPoint also offers distribution and delivery to all parts of the Kingdom. The LogiPoint team remains at the clients’ disposal at all times to ensure complete customer satisfaction abiding by our philosophy of creating tailored sustainable solutions for their customers. 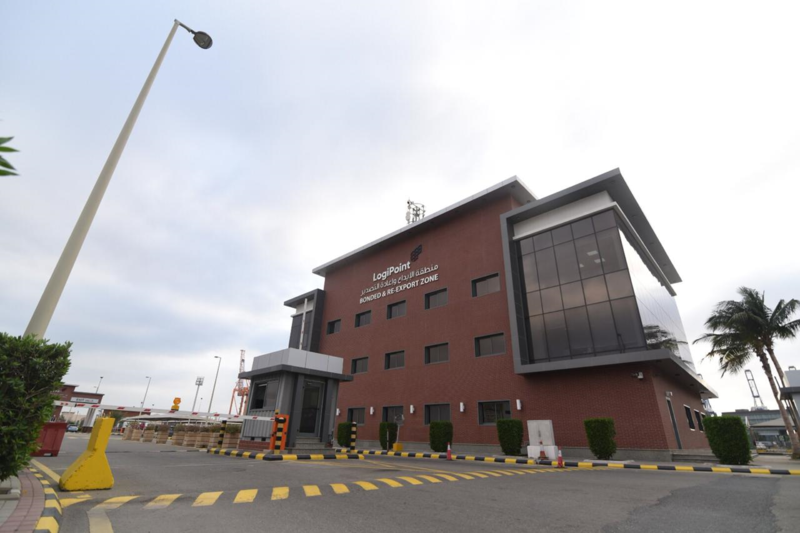 LogiPoint is a subsidiary of Saudi Industrial Services Co. – SISCO, a Saudi Joint Stock company listed on Saudi Tadawul, and were previously known as Tusdeer before the rebranding in 2017 as LogiPoint.